This quarter, Atoka artists are learning about local talent. Painter, David Lynch is a Memphis artist who creates colorful and exciting images of downtown Memphis and historical landmarks. As we viewed Lynch's work, I heard comments such as; "The buildings look like they are dancing," and "Ooh, the colors are fun!" Visit the website of artist David Lynch to see more of his amazing work! We also are learning that artists often create from what they know and have experienced. This is called the context. Click on the globe to see an example of our field trip to Memphis! Are you a parent interested in helping your child explore more of the earth's wonders? Download Google Earth here. For the best touring experience, be sure to check 3D buildings and Street view in the menu bar. Young artists used their knowledge of color theory to create wonderful collages inspired by the art of Romare Bearden. Check out the student gallery for more amazing art! Students in the art room, started working on a VoiceThread today. My artists, viewed images of Romare Bearden's art and then left comments via a classroom microphone. Day 4, 4th graders have done a great job getting us started. Be sure to check back throughout the next week to listen to updates and assess how well our Atoka artist are communicating their thoughts and ideas about visual art. If you see an "x" just click it to make it go away. Click the play arrow to begin play. Click on icons to hear from specific students and click on the arrow at the bottom right to skip to the next image. Our featured artist this quarter is a man with Southern roots. 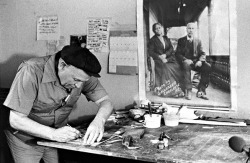 Romare Bearden, an African American artist, was born in 1911 in North Carolina. His family moved to Harlem, New York when he was four years old but he spent many vacations with family in the south. Bearden was lucky to live and work in Harlem during a time of change known as the Harlem Renaissance. Music, art and poetry were changing all around him. Jazz music had a big influence on Romare Bearden's art. He loved the way the musicians used improvisation! Bearden is well known for his collage; art made by gluing papers together to make a new image. Check out this great web page by The Metropolitan Museum of Art ! Take a tour of Romare Bearden's famous work "The Block," listen to music and narration and zoom in for close ups. ATES Judges have cast their votes! 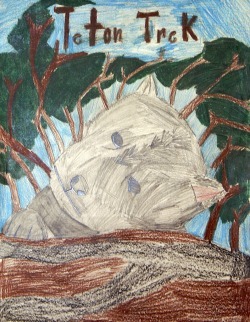 Teachers and staff cast their vote today for select art to be entered in the Memphis Zoo "Teton Trek" art contest. Area schools are allowed one entry per grade level. 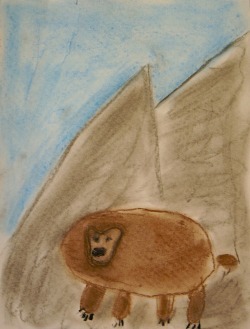 All of the artwork submitted was fabulous. I am so proud of our hard working students! The selected artists' names will be announced tomorrow at school. The new exhibit is schedule to open in October. 1st, 2nd and 3rd places will be announced soon. 1st place winners will have their art work enlarged and displayed as a banner outside the new exhibit. 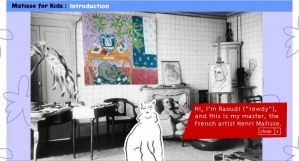 PBS offers an interactive online activity using Matisse like shapes and collage. Click the picture on the left to go directly to the website. The Memphis Zoo will be opening a brand new exibit, "Teton Trek" in October 2009. Students are invited to participate in an art contest to design welcoming banners for this exciting exhibit. 1st place in each grade level will have the student’s art, name and school represented in outdoor advertising, provided by Clear Channel outdoor! Winning artists will be publicly recognized at the opening ceremonies for Teton Trek. The Zoo will display reproductions of winning artwork around the Zoo. 2. Open to all K-12 students. 3. Students not enrolled in an art class can submit work but it must be through the student’s school. 5. Size requirement for artwork is 8 ½ x 11. 6. Artwork must be oriented vertically (portrait). 7. We cannot accept entries that include other Memphis copyrighted businesses (ex. : Memphis Grizzlies, Elvis Presley, Peabody Ducks, etc.). 8. The Zoo will also be conducting a preliminary competition for students whose schools are not hosting an internal competition, or who are homeschooled. These students may submit work directly to the Zoo (include on your entry label that it's a "self-submission" and the name of your school or "homeschool." 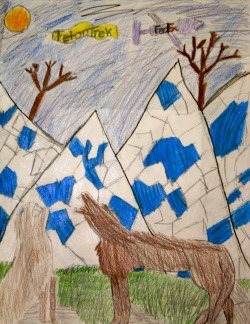 Visit http://memphiszoo.org/artcontest for more information. All entries will be due to Mrs. Christopher no later than September 14th. Download a .pdf of this information and the entry form by clicking here. All area youth, grades K-12 and adult amateur photographers are invited to enter this year's Celebrate Munford 2009 Photography /Art contest! Young artists simply follow the entry rules below to enter original artwork in the contest. Works will be on display for public viewing in the lobby of Regions Bank during Celebrate Munford on Saturday, September 19th 2009. 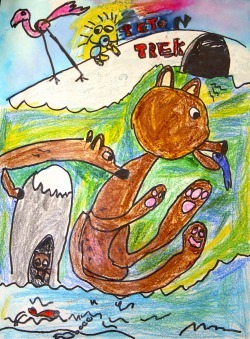 Visit http://www.munford.com/celebrateweb/index.php?c=artcontest for more information. All entries are due to Mrs. Christopher no later than September 16th. What do you think the little boy in this painting is feeling? The boy's father, Henri Matisse is the artist who created this painting. What do you think Matisse what thinking about when he painted this? Click on the arrow in the bottom left corner of the painting to hear more about this painting. We are going to have an exciting year in the Art Room at Atoka Elementary. Please check the Art Room website regularly for information about our featured artist, upcoming art projects and fun online activities. This quarter, we will be learning about a famous artist; Henri Matisse. We will also learn about using line and shape in our art work. 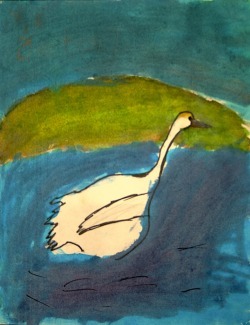 ArtSmart 4 Kids will give you background information about the artist and a few examples of his paintings. Matisse for Kids: is a super fun interactive website. Later this year, we will be studying the graffiti artist Keith Haring. This little game lets you create your own design with Keith Harring shapes. Begin by clicking on the box at the bottom left; drag colors and shapes to the blank "paper". Have fun! Get the Graffiti Artist by Abrakadoodle.com widget and many other great free widgets at Widgetbox! Want more Haring? Check out Haring Kids for fun games & interactives.